The government is a 26% stakeholder in TCL, earlier known as Videsh Sanchar Nigam Ltd. 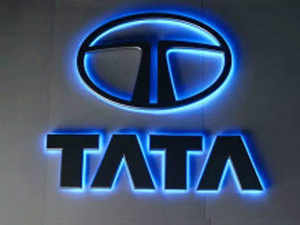 The Tata Group is believed to have dropped plans for group company Tata CommunicationsNSE -0.11 %, one of the largest telecommunications solutions providers in the world, to buy out sister concern Tata Teleservices’ enterprise business for now, people familiar with the matter have said. Top officials in the department of telecommunications (DoT) and the business house told ET that Tata Sons has informally conveyed to the government that the group is not keen on the deal now and would like to instead concentrate on strengthening the balance sheet of Tata Communications (TCLNSE 0.00 %). “Initially there was a lot of push for the merger and the Tata Group wanted to pick up the enterprise segment of the telecom business urgently. But now it has all gone quiet,” a senior DoT official told ET on condition of anonymity. The official added that about a month ago, senior executives of Tata Sons informed DoT that the business group is no longer keen that TCL picks up the enterprise, or B2B, segment of Tata TeleservicesNSE 0.00 % (TTSL), the group’s telecom service provider, the DoT official said. However, no official mail has been sent on this, the person said. Tata Sons declined to comment while emailed queries to TCL and TTSL remained unanswered as of press time Wednesday. With the TCL-TTSL deal falling through, Tata Sons would now need to again explore selling TTSL’s enterprise business to an external buyer. Previously, private equity fund TPG Capital, along with Tata Group’s former employee Mukund Rajan, had offered $1 billion for the enterprise unit, which was reportedly rejected by the Tatas. “Absence of complete clarity on DoT-related dues and simultaneously taking on another business, which will add to debt, may have been reasons for putting the merger in cold storage for now,” the DoT official said. Tata Teleservices had nearly Rs 36,000 crore of debt on its books as of March end, most of it on account of its consumer mobility business, including about Rs 10,000 crore it owes the government. At least Rs 20,000 crore of the balance Rs 26,000 crore has already been repaid by Tata Sons, people familiar with the development said. DoT has been concerned as to who will pay off TTSL’s dues, and how much of TTSL’s debt will Tata Communications — which itself has a debt of over Rs 7,500 crore — take on. The DoT official said it also wasn’t clear what will go to Bharti AirtelNSE -0.49 % — which had got into a deal to merge TTSL and its listed unit Tata Teleservices (Maharashtra)’s consumer mobility business with itself — and what will remain with TTSL, and subsequently go to TCL in case of any merger. ET had reported earlier that Bharti Airtel and TTSL had informed the DoT that the Sunil Mittal-promoted company would take care of the payment, including licence fee, spectrum usage charge and one-time spectrum charge of TTSL and TTML. However, most of it will be bankrolled by Tata Sons.